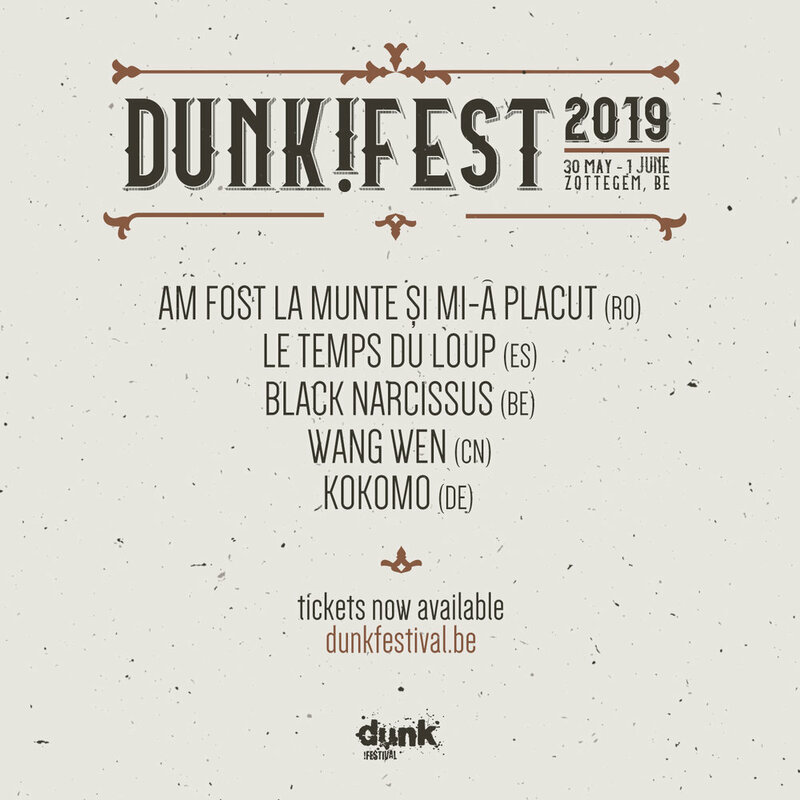 dunk!festival — Line-up shaping up! The festival is coming closer now and the last bands are being confirmed these days. While fine tuning some details with everyone involved we are ready to announce another 5 bands! And we can include an interesting dunk!records announcement as well. Am Fost La Munte Și Mi-a Plăcut is a relatively new post-rock band from Bucharest, Romania and can be translated to ‘I Went To The Mountains And I Liked It’. Mountains? That means post-rock! In this case with ‘emotional instrumental passages, heavy breakdowns and a funny online presence’. It’s mostly that last feature that made the difference. We know they’re not talking about song lyrics so we are in the dark as much as you guys. Le Temps Du Loup from Madrid, Spain released their latest album Cardinal on dunk!records and was one of the first pressings of dunk!pressing. Sold out for now but we might have a repress available by the time they hit the dunk!stage. ‘From vitriolic power riffing to contemplative melodic explorations, from deliberate, forceful, low end-driven builds to dizzying climactic heights’ is what you will witness on June 1st on our mainstage. Black Narcissus from Belgium is ‘a 2-piece rhythm section providing intense and atmospheric tunes of monumental proportion’. Monumental music with only the rhythm section? That sounds interesting! They will open up the Forest Stage on day 1 with their black-metal (with a touch of post-rock of course) and you better be there. And then we have Kokomo from Duisburg, Germany. If you don’t know them yet you’re probably also new to this festival because this excellent instrumental and most of all loud post-rock band is connected to the history of this festival for a long time already. Of course they are also signed to dunk!records (did you know their first album If Wolves was the very first release of dunk!records) and we are beyond excited to let you know that they will bring a new album with them on their 5th appearance at dunk!festival (last time was in 2016, first time in 2010).